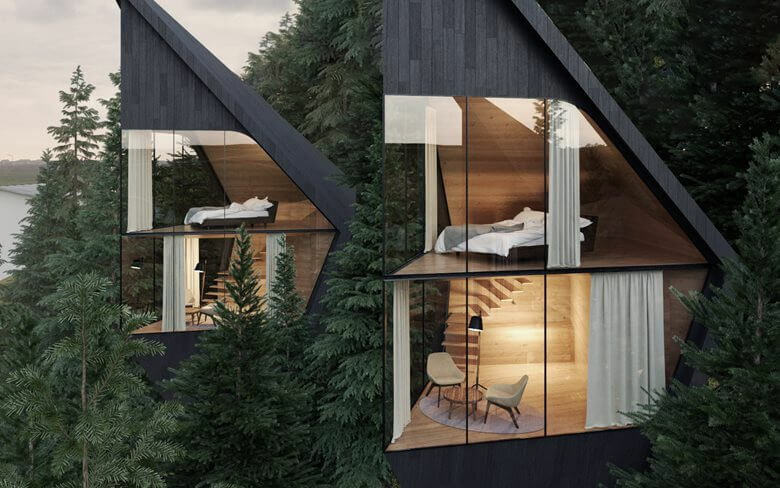 Milan based studio Peter Pichler Architecture has developed a concept for sustainable tree houses in the forest of the Italian Dolomites. 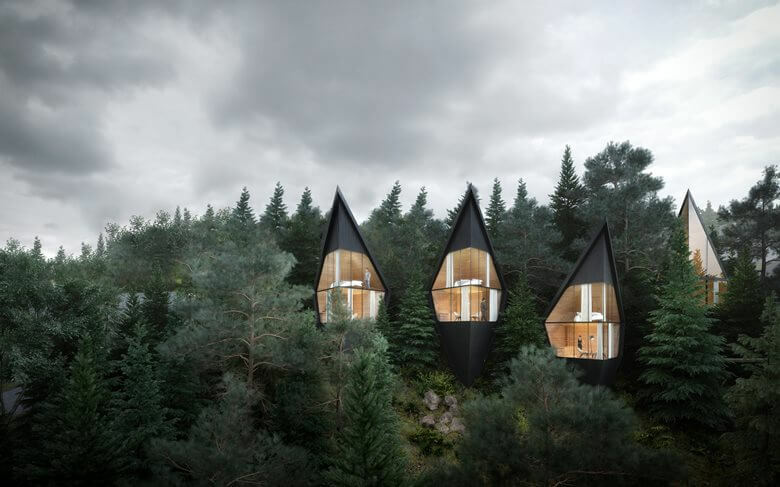 The tree houses are an addition to an existing hotel and should create a new experience to live in the woods with a maximum connection to nature. 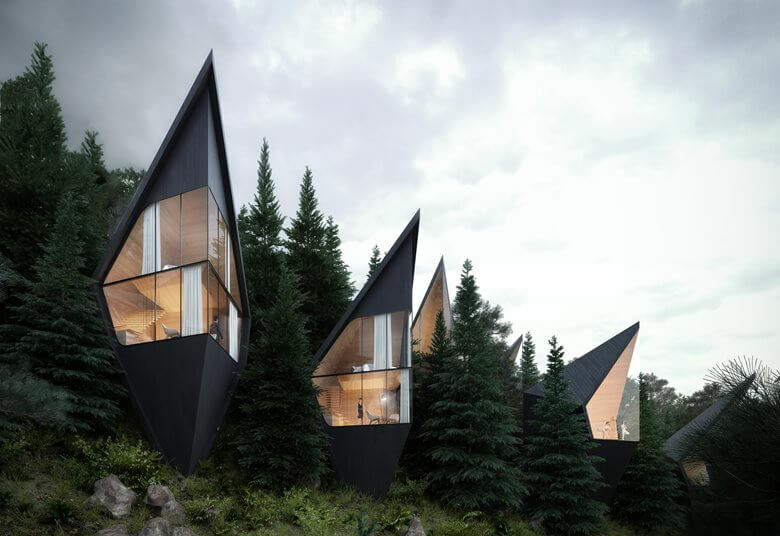 The geometry with its sharp steep roof is inspired by the surrounding fir and larch trees and is made of local wood. 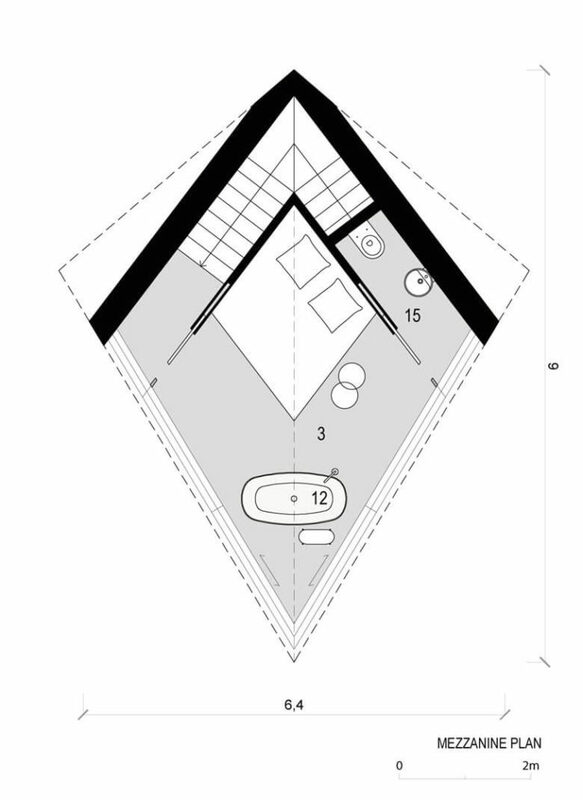 The size of the units ranges from 35-45 m2 on 2 levels. 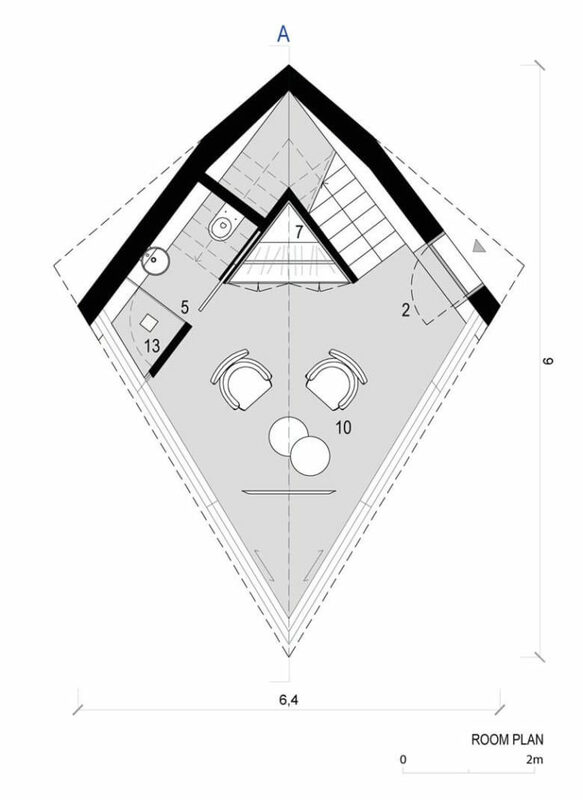 The lower level is a small reading/lounge area, and the upper level the sleeping area with a small bathroom. The two levels are connected with a small internal stair. 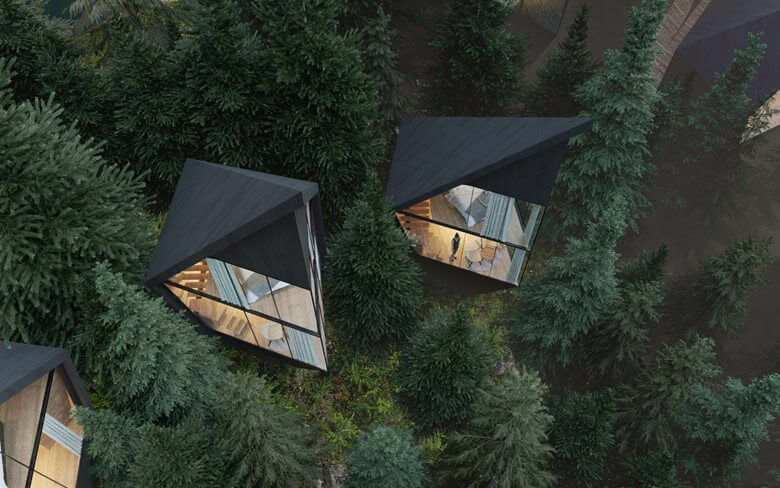 The project is conceived as a “slow down”- form of tourism where nature and the integration of architecture in it plays a primary role. “We believe that the future of tourism is based on the relationship of the human being with nature. 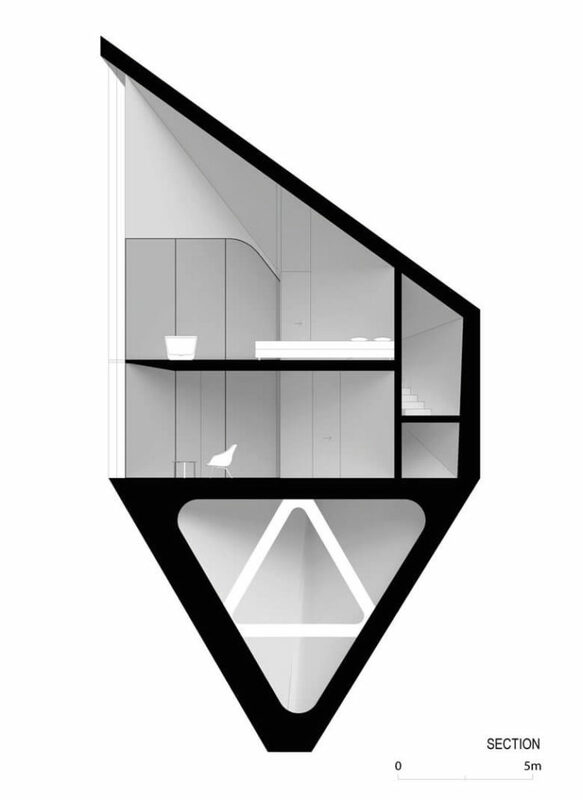 Well, integrated, sustainable architecture can amplify this relationship, nothing else is needed”.